Dr. Tong completed high school in Morgantown, West Virginia and attended Duke University for her undergraduate studies, where she received her degree in Computer Science. She was awarded a full Health Professions Scholarship by the United States Air Force and attended Duke University School of Medicine. Upon completion of medical school in 1993, she moved to Atlanta, GA, to do her residency training in Internal Medicine at Emory University School of Medicine, finishing in 1996. She then fulfilled her military commitment serving as an Internal Medicine physician at Robins Air Force Base in Warner Robins, GA from 1996 until her honorable discharge in 1999. She then joined the faculty at Emory where she practiced General Internal Medicine from 1999 to 2013. Dr. Tong joined PPC in October 2013. During her years at The Emory Clinic, Dr. Tong was an Assistant Professor of Medicine and was involved in teaching and mentoring medical students and resident physicians within the School of Medicine. Having established a thriving practice within Emory, Dr. Tong has been the recipient of multiple awards in recognition of her patient care. 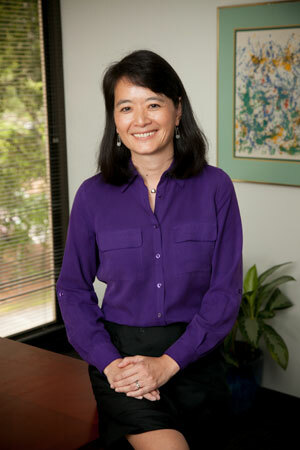 Dr. Tong has lived in Atlanta for over 20 years and is married with three children. She enjoys piano, exercise, and leisure time with her family.